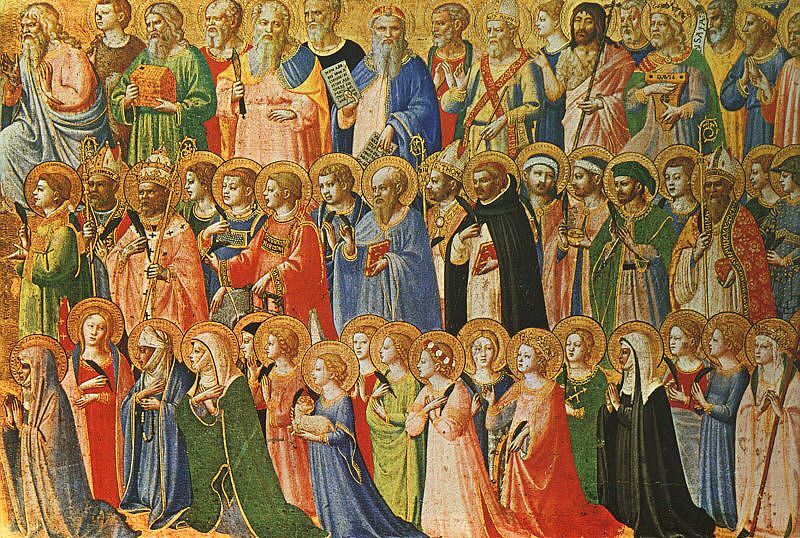 Today we celebrate All Saints’ Day, one of the seven Principal Feasts of the Church. And at my house, we also mark the end of the cross-country season. My daughter began running cross-country last year in middle school, and she’s kept with it as a high school freshman. She’s learned a lot; so have I. Running cross-country initiates you into a tribe with new language and measurements of success. What matters most is if you set a PR (personal record); what matters next is how the whole XC (cross-country) team is faring. The novel language and concepts remind me of my conversion. When I became an Episcopalian, there were plenty of new words and acronyms (vestry, piscina, ECW). And there were new measurements of success: what do you mean, Jesus, when you say the last shall be first? Today we celebrate those who won that prize: the saints in all generations through whom God’s light undeniably shone. When he wrote that line, St. Paul wasn’t thinking about relay races. But as we honor the saints of the church today, relay races are exactly what I am thinking about. Glory to God whose power, working in us, can do infinitely more than we can ask or imagine: Glory to him from generation to generation in the Church, and in Christ Jesus for ever and ever. Amen. Glory to him from generation to generation in the Church. This is my prayer. Stewarding this site is my practice. The cross-generational passing of the baton of faith is our hope here. Each of the saints, in their generation, stewarded the gift of the Holy Spirit. That gift is the outpouring of God’s very self to create the church as a living body. The body of the church is still created daily through God’s grace, our prayers and our practice, each as best we can. I can’t claim to “exercise self-control in all things.” But I can see the difference when I try. When I exercise just a little more self-control in God’s service today than I did yesterday, life gets better for everybody. I am no saint of the church. 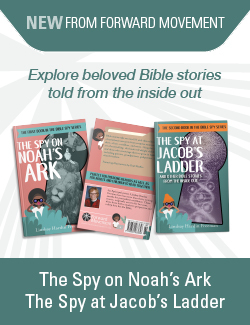 I am a mom on the sidelines praying that my kids will run the race of faith. I am just trying to keep my own footing, doing my best to pass on the baton. The good news is that is all I am asked to do. And each day is a new chance to begin again. Does your family observe All Saints’ Day? How? Brilliant analogy, lovingly written, thank you! Thank you, Nurya! 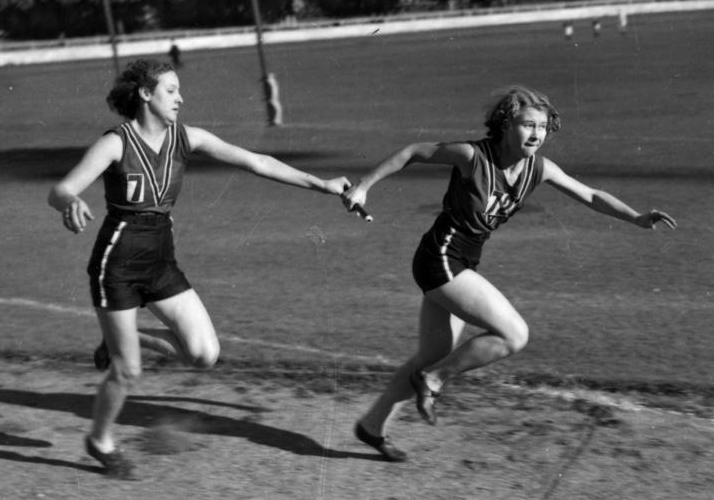 I love the analogy of passing the baton, and your gentle approach to exercising self-control. This essay is very inspiring for me as a parent. Thank you for reminding me that practicing self-control is a daily practice that will produce fruit. I reminded you because I need that reminder myself! Thanks for commenting.